There is a new product hitting the interwaves that hails from Albuquerque and Santa Fe, New Mexico. 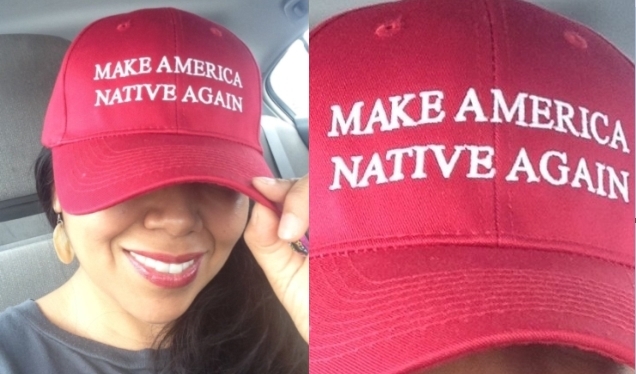 It’s a red baseball cap featuring the caption: “Make America Native Again” in response to Donald Trump's campaign slogan, which states “Make America Great Again”. The hat, produced by Bowen Creative of Albuquerque is worn in this image by Christina M. Castro on her Facebook page. Ms. Castro works as a staff facilitator for Tewa Women United's A'Gin Program. Bowen Creative is a design company located in the Nob Hill section of Albuquerque. Vanessa Bowen, the owner, is a native woman entrepreneur and Navajo originally from Gallup, New Mexico. As an artist, web and graphic designer, she also sidelines as a DJ. 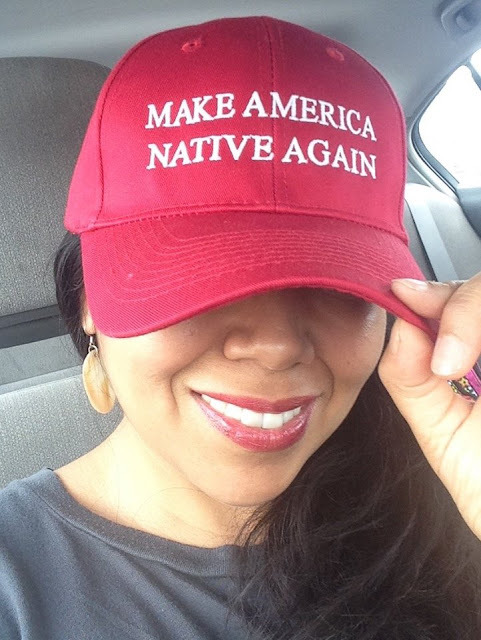 Bowen Creative works with clients in the native community such as Dine’ College, Navajo Nation Museum, Warehouse 21 Youth x Youth Fest, and at-large delegate Georgene Louis, the first Pueblo Woman to serve as a state representative. 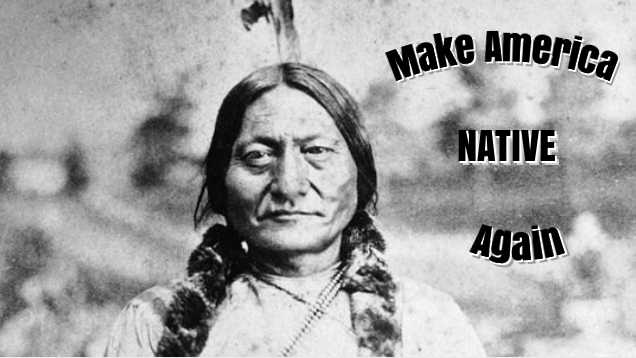 These are all strong Native women making statements, empowering each other but also just living their daily lives, making America Native, again. 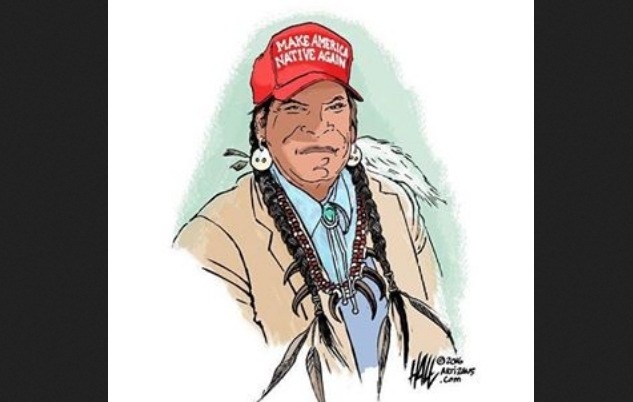 Responses to " “Make America Native Again” Image Goes Viral"
Make America Native Again! I love, love, love It! How does one purchase a cap?